Listen to radio legend Ira Glass live, see miniature replicas of Indiana history or prepare a 19th century meal by candlelight. 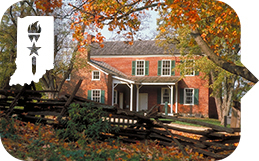 Try it all in Hamilton County, Indiana this weekend! For even more happenings, check out our online calendar of events. Did you know that the Conner House once served as Hamilton County&apos;s county seat and county courthouse? A special collection of Indiana courthouse art will be hosted at Conner Prairie throughout 2016 in celebration of Indiana&apos;s Bicentennial. 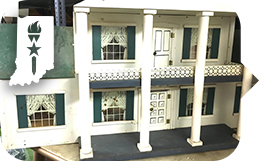 This special Bicentennial exhibit at the Museum of Miniature Houses showcases Indiana&apos;s history in miniature form. See replicas of Levi Coffin&apos;s home, Major Taylor&apos;s bicycle and more. 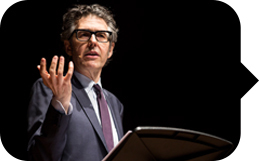 Public radio star Ira Glass will share a behind the scenes look at his famed radio show "This American Life." Live stories, recorded quotes and favorite clips will demonstrate the creation of the show. Make reservations now for your seat at the supper table. 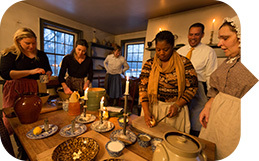 Help prepare and then devour a 19th century-style meal with other guests and costumed interpreters.